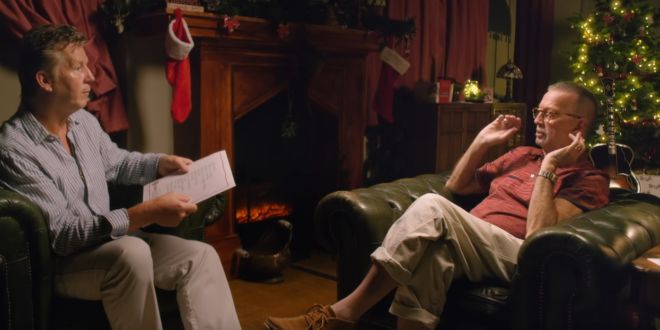 Eric Clapton has released A Clapton Christmas, a special YouTube feature that includes a sit-down interview as well as performances of songs from his recently-released holiday album Happy Xmas. 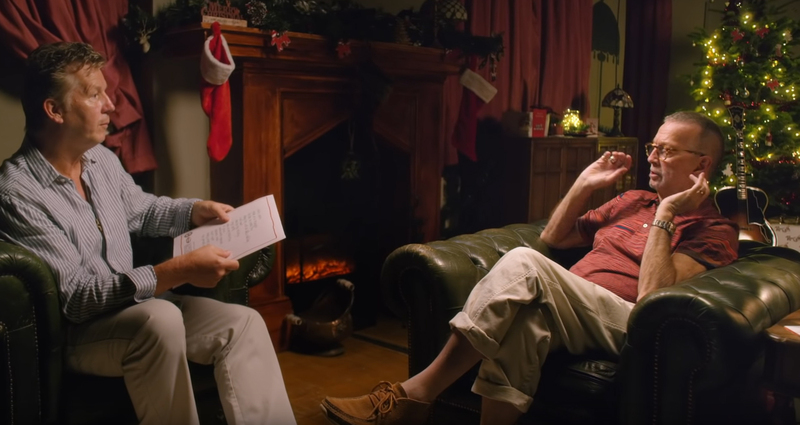 During the interview portion with producer Simon Climie, Clapton explains the process behind the decision to record a Christmas album. “When I started to seriously think about making a complete Christmas album I started to scour the internet and iTunes for specific Christmas songs,” he says. Asked about whether the holiday standard “White Christmas” was initially on his list of songs to tackle, Clapton responds, “No. ‘White Christmas’ came I think close to the end. We thought, well, if we’re gonna really make this a Christmas album we’ve got to do that one. But it was the most difficult one to arrange because it’s such a specific melody. And I didn’t think there was a way to do it without singing it as it was. Then I thought, well, we’ll just make it like it’s a Johnny ‘Guitar’ Watson track, with kind of raucous guitar. I think it came out really well,” he added. The album – Clapton’s first full-length foray into holiday music – is his first album since 2016’s I Still Do.